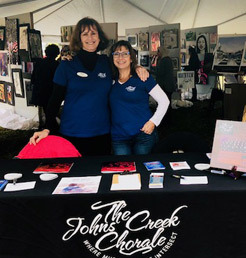 The Cultural Arts Alliance at Johns Creek was developed as a non-profit partnership of arts and cultural organizations, individual artists, and other entities with a mission to promote the visual, performing, and cultural arts in order to enhance the quality of life within the greater Johns Creek area. Don't miss this family-friendly Spring Finale of the concert season as The Johns Creek Chorale and Tapestry celebrate the music from some of Walt Disney's favorite animated movies. Selections will come from Beauty and the Beast, The Lion King, Frozen and many more. 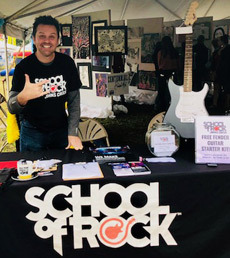 This FREE community event will feature live music and dance performances, global marketplace, kids' activities, restaurants and food trucks, vendors, international beer and wine garden,and more. Held at the field across from the Atlanta Athletic Club. Come enjoy Freaky Friday, a new musical based on the celebrated novel by Mary Rodgers and the hit Disney films. 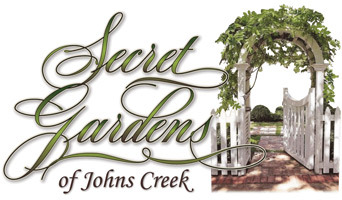 The 2nd annual Secret Gardens of Johns Creek tour will open 9 fabulous gardens in Johns Creek Enjoy unique plantings, a moss lawn, koi ponds, and more! North Atlanta Dance Theatre, in collaboration with the Johns Creek Symphony Orchestra, will present three original choreographies by Artistic Director, Michael Garrison featuring music by Aram Katchaturian, Astor Piazzola, and Antonio Vivaldi. Over 150 Summer Camps for your creative child age 4-18, provided by Arts Alliance member organizations. Weeks of May 27 - Aug 5. Tour 7 amazing home gardens featuring unusual and themed plant combinations and hardscapes. Johns Creek Historical Society at 220 Rod Court in Chartwell. An evening of dance and music! The North Atlanta Dance Theatre, in collaboration with the Johns Creek Symphony Orchestra, will present three original choreographies by Artistic Director Michael Garrison featuring music by Aram Khachaturian, Astor Piazzolla, and Antonio Vivaldi. The Fulton County Department of Arts & Culture announces an additional opportunity to apply for funding, through Contracts for Services (CFS). Fulton County-based arts organizations and artists can request funding of $1,500 to $2,500. Projects funded in previous cycles are not eligible for funding consideration. City permits are required with application submissions for all public art projects. First time applicants are required to attend one workshop or consult with the FCAC staff prior to submitting an application. Deadlines for submission of accurate and complete applications and final reports will be strictly enforced. Endorse the proposed Johns Creek Cultural Arts Center as a project important to the future of Johns Creek. Fully support the efforts of the residents of Johns Creek and the private business sector to engage in pursuing a capital campaign to build a Cultural Arts Center in Johns Creek. Promote and encourage participation in the Johns Creek Cultural Arts Center capital campaign by all Johns Creek residents and businesses. The next step is issuing a Request for Proposals in search of a consulting firm to manage the capital campaign required for a project of this size. Thanks to significant funding from Fulton County, the campaign will be able to launch relatively quickly. Looking for a summer camp for your creative child age 4-18? Duncan Webb, of Webb Management, made a presentation to the Johns Creek City Council on the final findings of the Phase II Feasibility Study for a multi-discipline Cultural Arts Center in Johns Creek. This report included recommended size and features of a new cultural arts facility, projected capital cost, operational structure and budget, and suggested locations. Our thanks to the Johns Creek CVB for funding and coordinating Phase I and Phase II of the feasibility study and thanks to the JC City Council for approving this use of hotel/motel tax revenue. 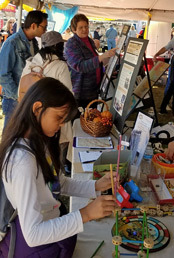 The Cultural Arts Alliance tent was a festive and active place where members of the Cultural Arts Alliance had tables to showcase their programs and services. 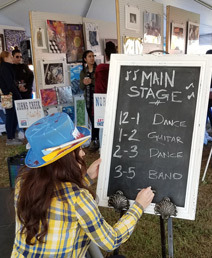 A new stage and layout of the tent provided over 10 hours of free live music, dance, hula hoop performance, and crafts. 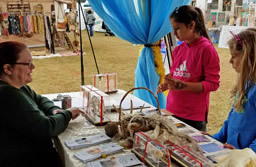 Arts on the Creek presented an exhibit and sale of local high school students' artwork. The Johns Creek Convention and Visitor Center partnered with Atlanta artist, William Massey, and Urban Catalyst Lab to connect this project to multiple public art movements. 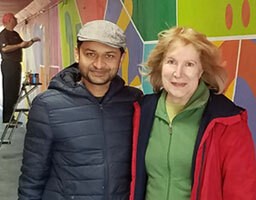 Given the diverse demographics of the City, well-know Indian artist, Hanif Kureshi, designed and painted the mural with help from the community. 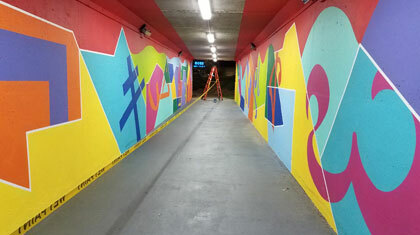 Pedestrian Tunnel Mural Completed ! 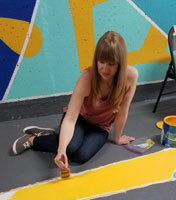 Dozens of volunteers helped paint the mural created by artist Hanif Kureshi during his April 10-21 residency. This was a great opportunity for local artists, community volunteers and high school students to be part of the project and work with an internationally known artist. The mural is beautiful during the day, but should also be experienced when it is dark outside - the colors become especially vibrant! The tunnel is located under 141/Medlock Bridge Road with entrances just south of McGinnis Ferry Road near Panera Bread on the east side and Starbucks on the west side. 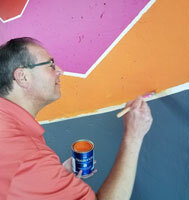 Photos below of artist Hanif and volunteer Kirk taping sections to be filled with color, Shelby of the CVB painting color on the floor, Mayor Bodker adding a few strokes, artist Hanif with volunteer Joan at completion of the project. Two recent studies have been done showing the substantial economic impact of arts and culture. Economic Impact Study for the Johns Creek Arts Festival commissioned by the Johns Creek CVB. 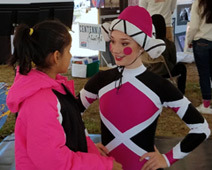 Arts & Economic Impact in Metro Atlanta (includes Johns Creek) performed by the national organization Americans for the Arts. At their November 27, 2017 meeting, the Johns Creek City Council voted to approve a recommendation for public art for the Bell-Boles roundabout. The piece will be a commissioned mixed-metal sculpture by Eric Strauss, a nationally known artist who grew up in the Shakerag area. The concept for the sculpture is a contemporary interpretation of a horse emerging from a base of leaves and vines, with an approximate size of 13x13 feet. Beautification Johns Creek's Art Spot will raise the funds to commission and purchase the work, then donate it to the City. With the City Council's approval, Art Spot can engage the artist and begin a fundraising campaign. It's expected the fundraising and creation of the large sculpture could take 18 months. See the Public Art Board's Recommendation for this sculpture (includes more about the artist and a concept doodle).